Any time. Any day. We are here. Our Walk-In Center (WIC) is open 24 hours a day, 7 days a week. Our licensed clinicians offer confidential, in-person support, information and referrals to anyone in need. We see children, adolescents, young adults, families and adults. Our licensed staff can also provide psychiatric evaluations to help guide clinical decisions around whether or not an inpatient stay may be needed on a psychiatric unit, at our Acute Treatment Unit, a Crisis Stabilization Unit or a respite facility. One goal of coming to a Walk-In Center is for individuals to safely de-escalate and receive clinical support for a mental health or substance use problem. Our staff provide a connection to the right care at the right time by coordinating a warm hand-off to appropriate treatment services. Our helpful Phone Intake Counselors are available at all hours of the day to receive referrals from the community, area hospitals or from our AllHealth Network crisis hotline. AllHealth Network is proud to partner with local law enforcement to provide Crisis Intervention Team (CIT) services. We have mental health clinicians who ride along (“co-respond”) with area police departments to help during a crisis. If you or a loved one has a mental health emergency, ask if a CIT-trained officer is available when you call 911. 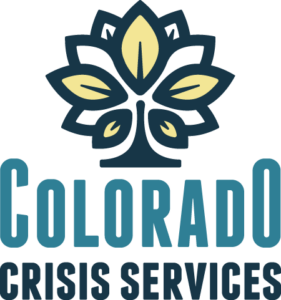 Colorado Crisis Services partner CSU for individuals under age 18. AllHealth Network’s CSU is available for adults (age 18 and older) who need more intensive services than outpatient. Voluntary or involuntary treatment can be for up to five days. The CSU engages in therapeutic groups such as art, yoga, and mindfulness and even has an iPad to broadcast music and podcasts. Individuals must be referred from a Walk in Center to be admitted to the CSU. The CSU has a psychiatric provider available for evaluations, ongoing assessment and medications as needed. Our compassionate nursing team is available around the clock, and a clinician helps facilitate groups, individual and family counseling for clients. Our Acute Treatment Unit (ATU) is a 16 bed treatment facility for adults in need of an inpatient stay due to a psychiatric or mental health crisis. 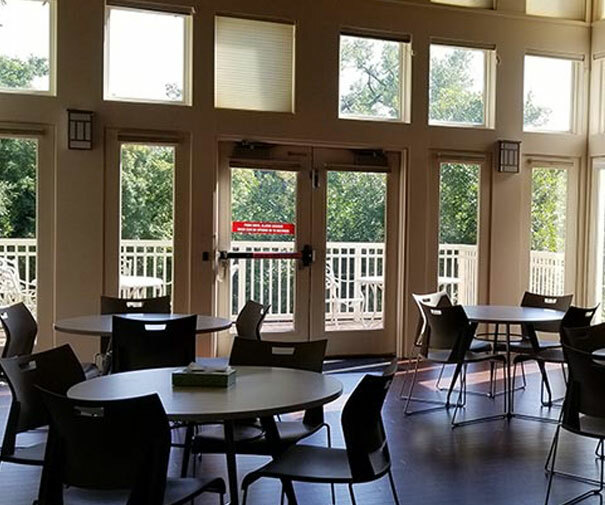 Bridge House offers a residential level of care to adults experiencing a complex behavioral health crisis. It is a higher level of care than a Crisis Stabilization Unit, yet not as intense as an inpatient hospital. The ATU has two single rooms for clients who identify as transgender who may prefer additional privacy or for individuals who would benefit from not having a roommate due to their psychiatric condition. ATU’s provide intensive and individualized services in a therapeutic, yet secure setting. Treatment may be voluntary or involuntary. Bridge House clients have access to books, magazines, movies, puzzles, art supplies, a shared iPad for podcasts and music, an elliptical, as well as X-Box games. Many of our communities have Crisis Intervention Team (CIT) programs that train police officers to handle and respond safely to psychiatric crisis calls. AllHealth Network partners with local area law enforcement to place a mental health co-responder in the police car. Whenever possible, a licensed clinician from AllHealth Network will respond to 911 calls involving an individual who is experiencing a mental health crisis. If a clinician is not available, our dedicated team of case managers receive referrals from law enforcement for follow up with the individual within 24 hours. Zero Suicide is a key concept of the 2012 National Strategy for Suicide Prevention. The foundational belief of Zero Suicide is that suicide deaths for individuals under care within health and behavioral health systems are preventable. It presents both a bold goal and an aspirational challenge. Are you or someone you love thinking of suicide? Visit the Columbia Lighthouse Project to find tools for families, friends, neighbors to use to ask key questions to identify suicide risk. Want to help keep yourself or someone else safe from suicide? Download and complete the Patient Safety Plan Template from the Suicide Prevention Resource Center or download the My3 app (Apple or Android) and install the free resource on your phone.